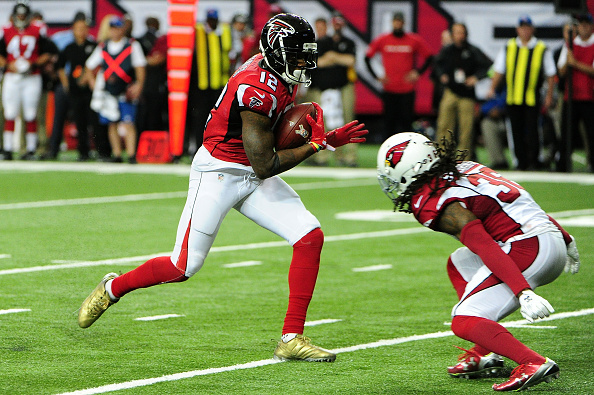 Taylor Gabriel took two short passes for touchdowns and the Falcons returned from a bye week to add to Arizona’s misery, blowing out the Cardinals 38-19 on Sunday. Gabriel, who was cut by the winless Cleveland Browns before the season, scored on plays of 35 and 25 yards that showed off his speed. His second score finished the Cardinals, who began the season touted as a Super Bowl contender but have been one of the NFL’s most disappointing teams. The Falcons (7-4) began the day leading the NFC South and moved a step closer to their first playoff berth since 2012. The Cardinals (4-6-1) have lost two straight and three of their past four, putting them in danger of missing the postseason a season after reaching the NFC championship game.